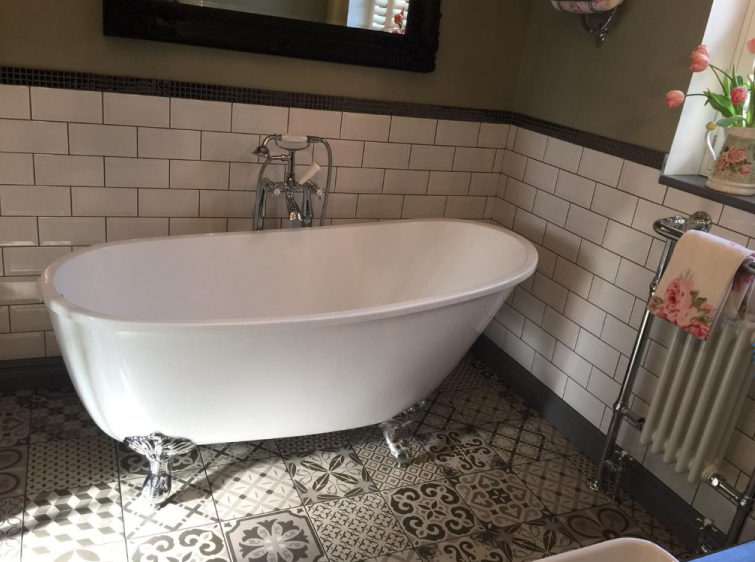 Emma's new bathroom is a beautiful mix of half painted walls, white metro tiles and a stunning patterned tiled floor. 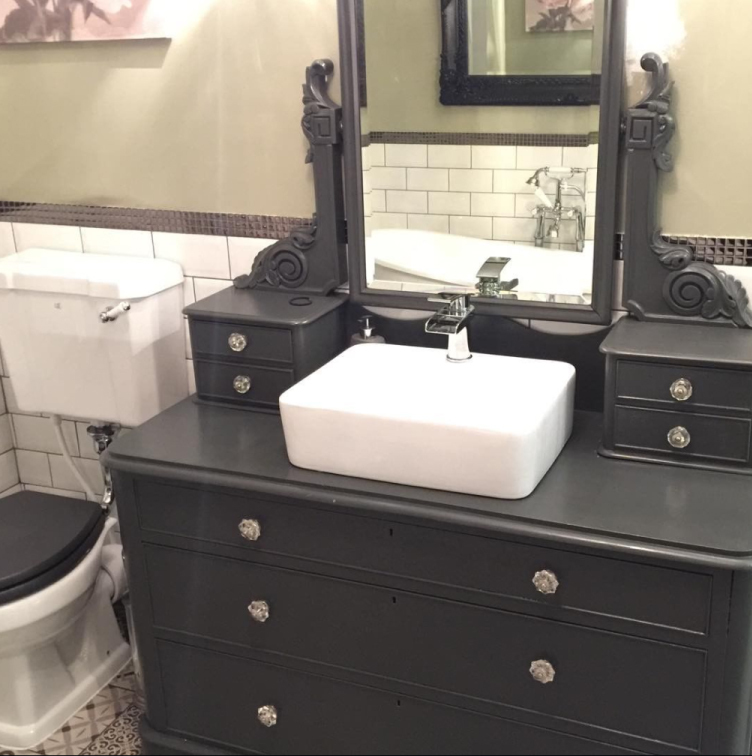 This gorgeous vintage dresser has been upcycled into a bathroom vanity unit complete with counter top basin. 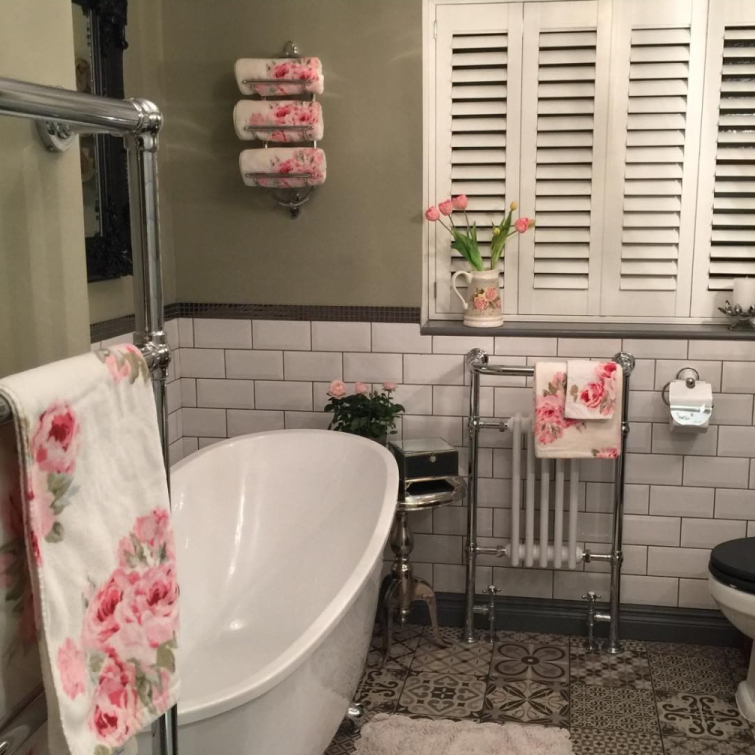 Other features of Emma's bathroom include a slipper style freestanding bath, a traditional close coupled toilet and a period inspired heated towel rail. The stunning slipper style freestanding bath is complemented by the addition of a traditional freestanding bath tap and a beautiful dark framed mirror. The vintage dresser is a stand out feature in this very special bathroom design. This is a great picture of Emma ball-footed slipper style freestanding bath. 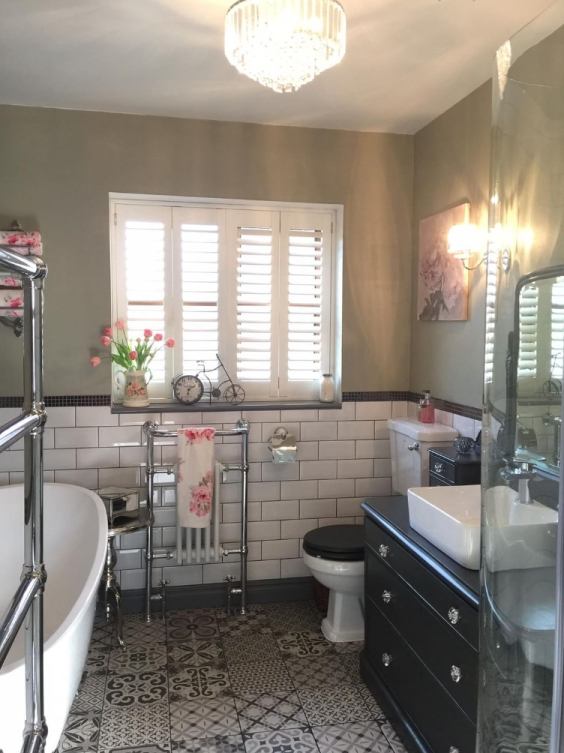 The dark coloured vintage dresser and dark framed mirror have been complemented by a thin dark border that sits between the painted walls and white metro tiles.